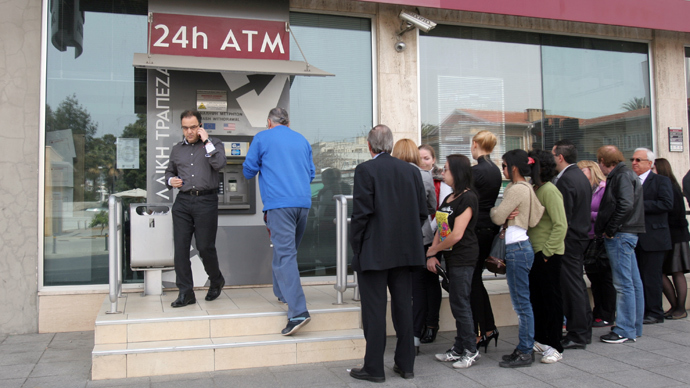 The Cypriot government is racing to find a new solution to secure a rescue package and avert the collapse of its bloated banking sector. 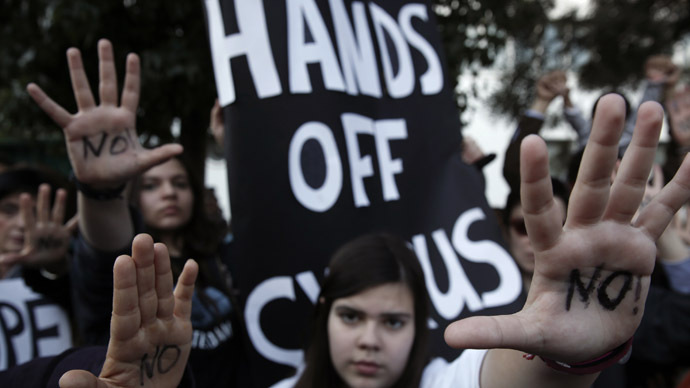 The ECB has given Cyprus until Monday to agree to the bailout, or it will quit the negotiations and step aside. 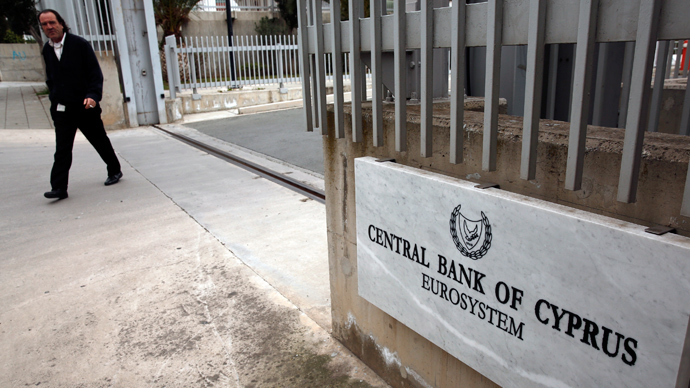 The ECB announced that it will continue providing Cypriot banks the emergency liquidity assistance they need to operate until next Monday, setting a strict deadline for the island’s government to find €6 billion by next week to secure the EU bailout loan. “The Governing Council of the European Central Bank decided to maintain the current level of Emergency Liquidity Assistance until Monday, 25 March 2013. Thereafter, Emergency Liquidity Assistance could only be considered if an EU/IMF program is in place that would ensure the solvency of the concerned banks,” the official statement reads. The so-called Plan B has been put forward for government consideration on Thursday morning. The Cyprus government said it will not vote on Plan B on Thursday, Reuters reports referring to Averof Neophytou, the Deputy president of the Democratic Rally Party of Cyprus. According to Neophytou the government won’t manage to prepare the revised text of the bill on Thursday, hence it will postpone the vote. He also said the deposit levy wasn’t on Thursday’s agenda of the meeting between the heads of Cyprus' leading parties and President Nicos Anastasiades. 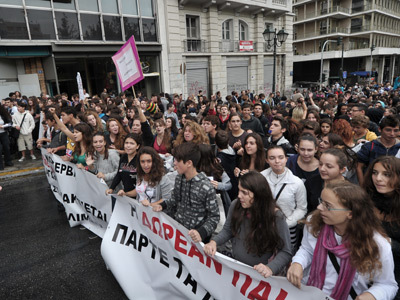 According to AFP Cyprus is no longer considering taxing bank deposits in any new bailout deal. It is unclear what the new rescue plan will consist of, but it may reportedly include nationalizing pension funds of semi-state companies, issuing an emergency bond linked to future natural gas revenue or a revised bank deposit levy hitting only large investors, many of them Russians, restructuring, and the selling off or even shutting down of some Cypriot banks. The country's leaders have decided to create a "national solidarity fund", at this morning's talks in Nicosia to accumulate the €6 billion. Earlier reports suggested that the fund could include pension assets, various state assets, and even property owned by the Church of Cyprus. Getting help from Russia is also among the possible options, though no positive results came from Wednesday’s negotiations in Moscow between Cyprus Finance Minister Michalis Sarris with Anton Siluanov, his Russian counterpart, and Igor Shuvalov, a Deputy Prime Minister and close ally of Vladimir Putin. 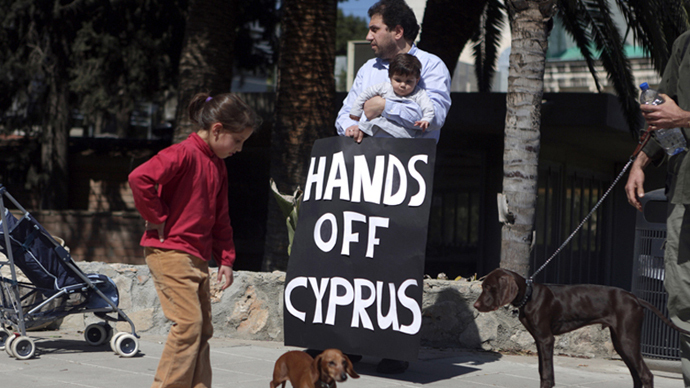 “Cyprus does not need another loan from Russia. What it needs is Russian investment,” Sarris told Reuters. The Cypriot Finance Minister will stay in Moscow for another day to try to reach a reasonable solution with the Russian government and talk on investments in its banks and energy resources to reduce its debt burden. Sarris will also seek an extension to the Russian bailout loan granted in 2011 to 2020. "The banks are the ultimate objective in any support we get, so it'll either be a direct support to the banks or the support that we get through other sectors will be channeled to the banks, because this is our biggest challenge to recapitalize the banks," Finance Minister Michael Sarris told Reuters. 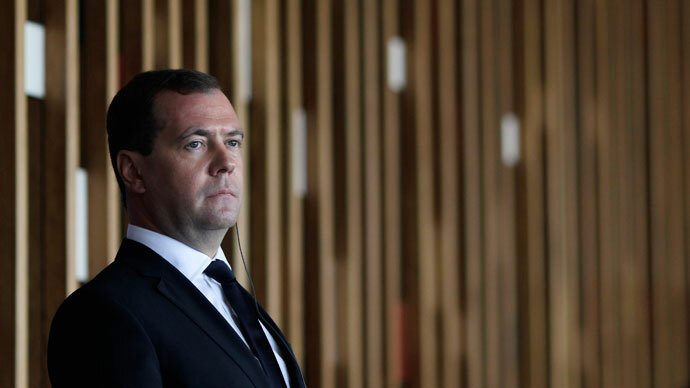 Russian Prime Minister Dmitry Medvedev slammed the situation with the Cyprus bailout late on Wednesday saying that the actions of the EU and the Cypriot government on solving the debt crisis remind him of "a bull in a china shop". “They either miss crises, or have forgotten what was going on a few years ago… I think all possible mistakes that could have been made in this situation, have already been made, including discrediting the credibility of financial institutions, not only those in Cyprus,” Medvedev told journalists. 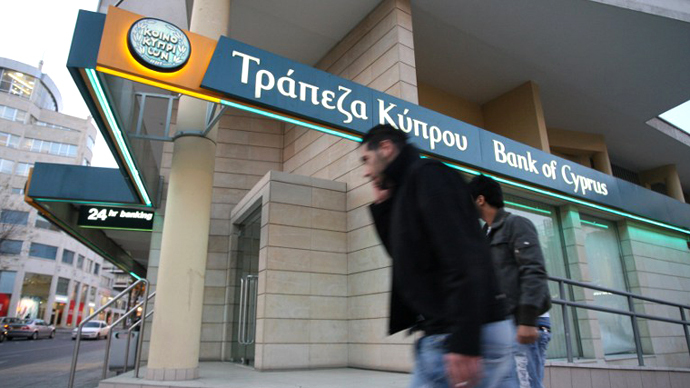 Late on Tuesday the Cypriot government voted against imposing a deposit levy in the country which was to set a 6.75% one-off tax on savings between €20,000 and €100,000 and a 9.9% slash on savings over €100,000. None of the members voted for the levy.